This resource is part of a 26-day introduction to all 26 letters and sounds with whole group circle charts. 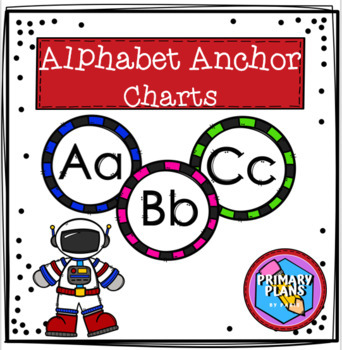 Introduce the letters and sounds with Alphabet Anchor Charts, so that students can begin manipulating them to make words. Print, cut, & laminate to start! 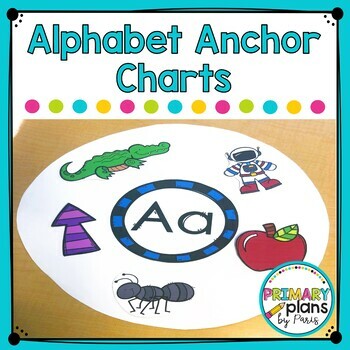 Attach letter tile to blank anchor chart paper, poster or whiteboard. Ask students to put on their thinking caps and think about an item that starts with the letter of the day. When students come up with an item, attach it to the chart.